SWEED contains various herbs which are all legal, and the resulting mixture has a stimulating, soothing and calming. 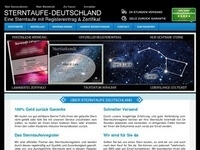 Webmasters can now benefit from this completely unique online sales concept in German-speaking and of the considerable performance optimization of the website and advertising material. 3, - ? CPL (Lead commission) for a simple application. SWEED provisioned EVERY applicant, regardless of whether this has then bought or not bought.